Appearance: Showing golden hues from its development in bottle; but still with green tints emphasizing its inherent freshness. Aroma: Fresh Riesling aromatics of citrus and the honeyed development of the residual sugar compliment each other beautifully. 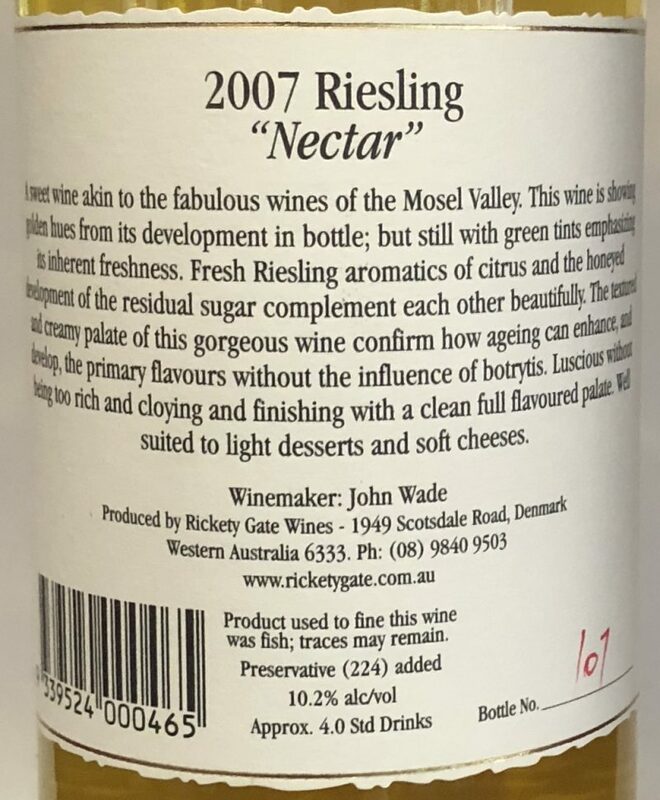 Palate: A textured and creamy palate showing how ageing can enhance, and develop, the primary flavours without the influence of botrytis. Luscious without being too rich and cloying and finishing with a clean full flavoured palate. A sweet wine akin to the fabulous wines of the Mosel Valley. This wine is showing golden hues from its development in bottle; but still with green tints emphasizing its inherent freshness. Fresh Riesling aromatics of citrus and the honeyed development of the residual sugar complement each other beautifully. 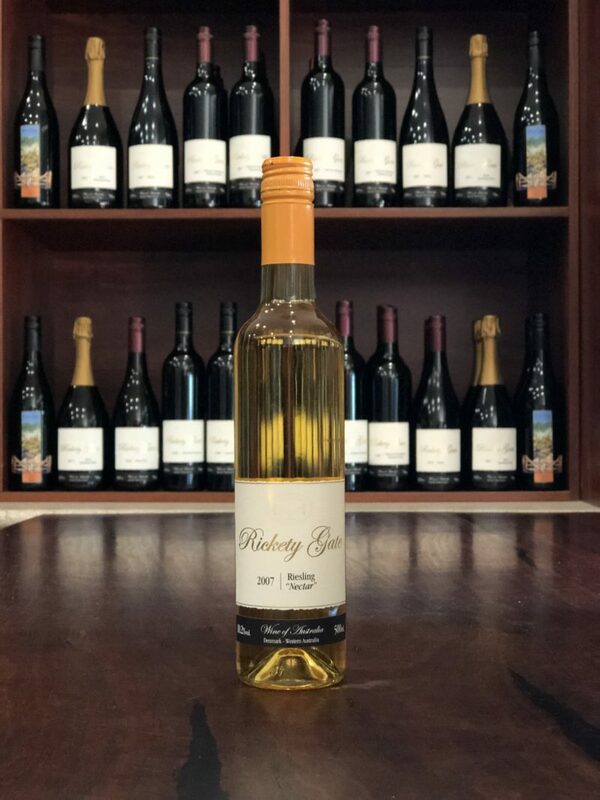 The textured and creamy palate of this gorgeous wine confirm how ageing can enhance, and develop, the primary flavours without the influence of botrytis. Luscious without being too rich and cloying and finishing with a clean full flavoured palate. Well suited to light desserts and soft cheeses.